I wish to draw your attention towards the resolutions of World Health Organisation (WHO) and International Labour Organisation (ILO) seeking elimination of future use of all forms of asbestos passed in 2005 and 2006 respectively. I have come to know that the construction industry in your country is installing asbestos products such as sprayed-on fireproofing, pipe insulation, floor tiles, cement pipe and sheet, roofing felts and shingles, ceiling tiles, fire-resistant drywall, drywall joint compounds, and acoustical products. I submit that asbestos fibers enter the body when a person inhales airborne particles that become embedded in the tissues of the respiratory systems. Exposure to asbestos can cause disabling or fatal diseases such as asbestosis, an emphysema-like condition; lung cancer; mesothelioma, a cancerous tumor that spreads rapidly in the cells of membranes covering the lungs. The symptoms of these diseases generally do not appear for 20 or more years after initial exposure. In view of such established hazards, the preventive option is not to use asbestos based products and opt for alternatives of asbestos. 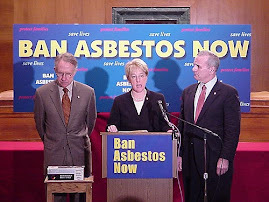 On behalf of South Asian Ban Asbestos Network (SABAN) and Ban Asbestos Network of India (BANI), I submit that there is an urgent for your government to ascertain the incurable diseases caused by asbestos especially in the aftermath of the verdict of ILO, WHO and WTO Appellate Body against the killer fibers of asbestos. Most of the northern countries have banned asbestos. It is high time Southern countries followed the path shown by Japan by taking steps to make their countries asbestos free. It is well established in the medical community that asbestos is a carcinogen, meaning it can cause cancer since early 1950s. 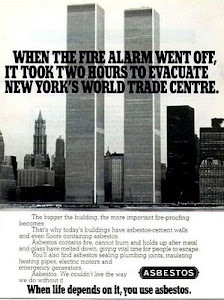 It was absolutely established that asbestos is a carcinogen by 1965. Despite this companies like Union Carbide Corporation (UCC) that caused world's worst industrial disaster in Bhopal, India and members of Chrysotile Asbestos Cement Products Manufacturers Association (CACPMA), Asbestos Cement Products Manufacturers Association (ASCMA) have been playing word games avoided telling their customers that asbestos was a carcinogen. I submit that Afghanistan Government should not ignore Indian Environment Ministry’s 19 page Vision Statement on Environment and Human Health (Para 4.3.1, page 12) which reads: “Alternatives to asbestos may be used to the extent possible and use of asbestos may be phased out” and the fact that mining of asbestos is banned in India on health grounds besides ban on trade in asbestos waste (dust and fibers). This statement is available on Ministry’s website. The fact is that the fiber roofing sheets will be manufactured by using asbestos fibers which is banned in over 55 countries. I submit that there is global awareness about the adverse effects of asbestos fibers. It affects everyone from the person mining it to the ultimate consumer. Clinical reports show that asbestosis, mesothelioma and lung cancer can show up even 25 to 40 years after exposure to asbestos. I submit that like elsewhere, in your country too, all cases of mesothelioma, an aggressive asbestos-related cancer are linked to asbestos exposure. All the medical colleges in India must teach that most cases of mesothelioma are related to enviro-occupational asbestos exposure that often occurred decades earlier in industries heavily dependent on asbestos-based products. These industries include construction, automobile repair and shipbuilding. It is a glaring fact that the members of Chrysotile Asbestos Cement Products Manufacturers Association (CACPMA), Asbestos Cement Products Manufacturers Association (ASCMA) and other industries based on killer fibers of asbestos are knowingly exposing workers, their families and consumers. While the medical and financial relief (compensation) for the illness of workers, their families and consumers must be borne by the companies in question, in South Asia because of political patronage members of both CACPMA, ASCMA and others have escaped liability and have not been made accountable for deaths and diseases being caused by their products. I submit that there are many factors that influence a person’s life expectancy. Mesothelioma, a asbestos related incurable disease is typically diagnosed in the late stages because it displays no serious symptoms before then. When diagnosed in the late stages, the average life expectancy is 8 months. I submit that your government must identify and assist those who suffer from mesothelioma and other asbestos related diseases because they have the right to pursue financial compensation besides providing free legal consultation to present and potential victims and their families. 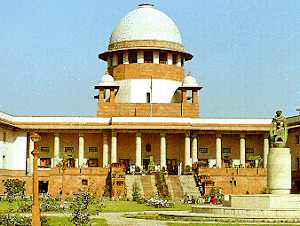 I submit that in an order dated January 21, 201, Hon’ble Supreme Court’s bench of Chief Justice of India Justice S.H. Kapadia, Justice K.S. Panicker Radhakrishnan and Justice Swatanter Kumar has observed in para 15, “the Government has already presented the Bill in Rajya Sabha. The statement of objects and reasons of this Bill specifically notices that the white asbestos is highly carcinogenic and it has been so reported by the World Health Organisation. In India, it is imported without any restriction while even its domestic use is not preferred by the exporting countries.” Rajya Sabha is the Upper House of Parliament of India. I wish to draw your attention towards the New Delhi Declaration Seeking Elimination of cancer causing all forms of asbestos including Chrysotile from India which was adopted and endorsed by eminent scientists and doctors on 24th March, 2011. This happened at a Round Table which was organized immediately after the conclusion of International Conference on "Emerging Trends in Preventing Occupational Respiratory Diseases and Cancers in Workplace" at Maulana Azad Medical College, India that expressed grave concern about asbestos related diseases like lung cancer in the national capital. The delegates at the Round Table discussed the asbestos policies in South Asia. These delegates shared their views and gave their valuable hand written notes so that it can be used in a credible way while strongly recommending the need for immediate ban on asbestos. 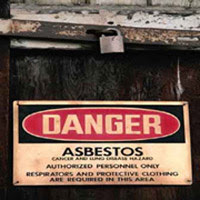 I wish to submit that during a visit to New Delhi in March 2011, Dr Alec Farquhar, Managing Director, Occupational Health Clinics for Ontario Workers, Canada said, “We now have around 500 asbestos cancer cases every year in Ontario from a population of 13 million. In Ontario, we learned that safe use of asbestos is impossible. I urge you from the bottom of my heart, please do not make the same mistake as we made in Canada. Stop using asbestos and use a safe alternative.” The situation in Afghanistan with a population estimated at roughly 29 million people in all the 34 provinces is bound to be worse. I submit that Professor Elihu D Richter MD MPH, Hebrew University-Hadassah School of Medicine, Israel said, “All form of asbestos kill.” Prof. Richter too was in New Delhi in March 2011. It must be noted that “...there is no question that science has shown that Chrysotile causes asbestosis, lung cancer and mesothelioma. This is the conclusion of World Health Organisation. The International Agency for Research on Cancer, and other organizations that have no biases except for protecting people’s health,” said Prof. Arthur L Frank, MD, PhD, Department of Environmental and Occupational Health, Drexel University School of Public Health, US. 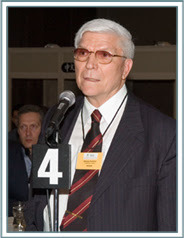 He has 40 years of experience in dealing with asbestos diseases and he was in India to make a presentation at an International Conference on Occupational Health. Presenting her views, Prof (Dr) Qamar Rahman, fellow of National Academy of Sciences, Dean, Integral University, Lucknow & former Deputy Director, Industrial Toxicology Research Centre, Lucknow asserted, “The asbestos fibers will be the cause of exposure to our coming generations.” This merits your immediate attention. The conference was deeply concerned about asbestos related diseases and the alarming rise of asbestos. In order to meet its objective, COP5 of Rotterdam Convention will consider the inclusion in Annex III of chrysotile asbestos under agenda item 5 c during the meeting scheduled for June 20-24, 2011. I submit that discussions on chrysotile asbestos at the COP 4 of Rotterdam Convention in 2008 took a decision to examine its listing at COP5 in June 2011. It is well known around the world that asbestos is hazardous to human health, and that there is no such thing as “safe use” of asbestos, just like there is no “safe cigarette”. It would do better to aim for growth through development of safe industries, and to lower the prices of substitutes, rather than promote use of this hazardous substance, opined Dr Yael Stein, MD, Unit of Occupational and Environmental Medicine, Hebrew University, Israel. This clearly underlines that white asbestos or chrysotile asbestos is a health hazard which is essentially what COP5 is to decide in Geneva.